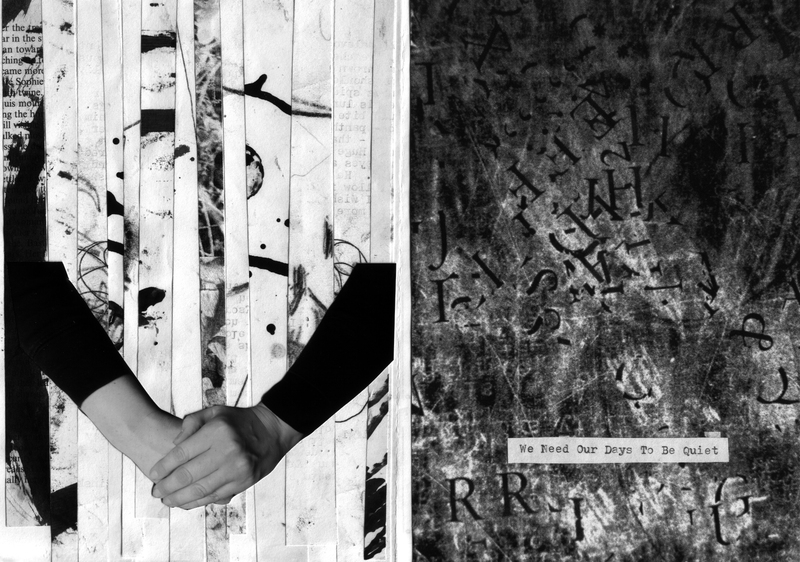 Issue 1 of a new zine series of collage and drawing work which uses family photographs as source materials for stories, memories and imaginings. 36 page, full colour, printed on 120 gsm matt paper. 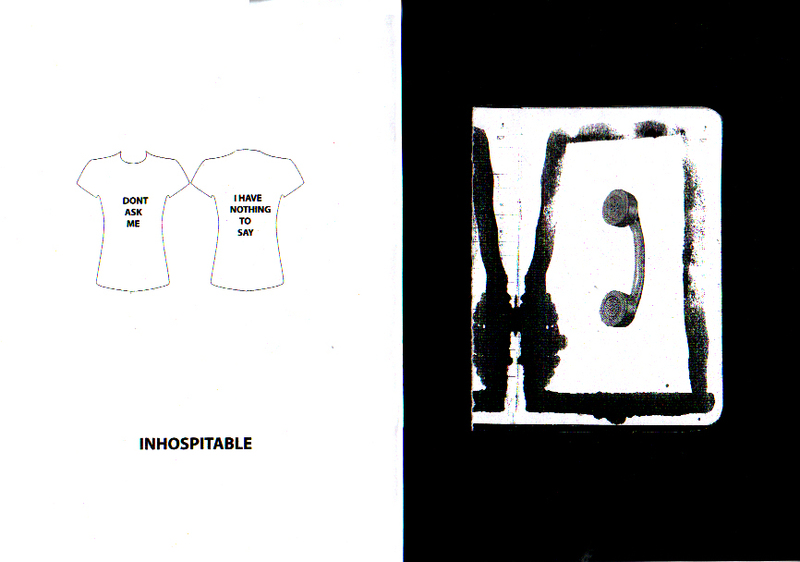 Strict limited edition run of 50 copies only. We Need Our Days To Be Quiet is a sketchbook in zine format, containing collected drawing and collage, text and photography and thoughts, reading and findings from summer 2012. A5, 36 pages, photocopied in black and white. You can buy it here for £2 plus postage. 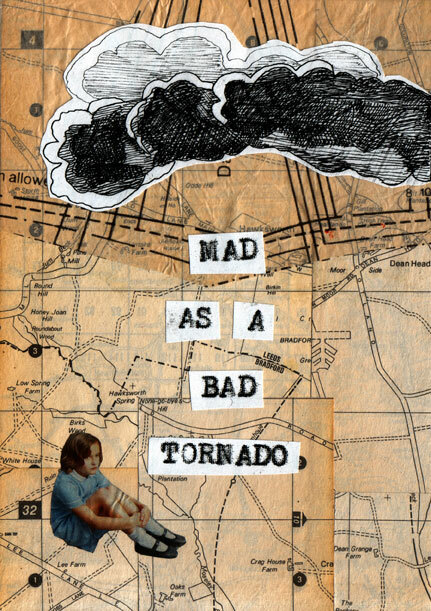 Mad as Bad Tornado is a contributions-based zine dedicated to visionary artist Henry Darger I curated in 2011. Henry Joseph Darger (1892 – 1973) was a reclusive American writer and artist. He has become famous for his posthumously discovered 15,145-page, single-spaced fantasy manuscript called ‘The Story of the Vivian Girls, in What is known as the Realms of the Unreal, of the Glandeco-Angelinnian War Storm, Caused …by the Child Slave Rebellion’, along with several hundred drawings and watercolor paintings illustrating the story. Darger is regarded as one of the most significant self-taught artists of the 20th century. containing an eclectic range of responses to the life and work of this complex and enigmatic artist. 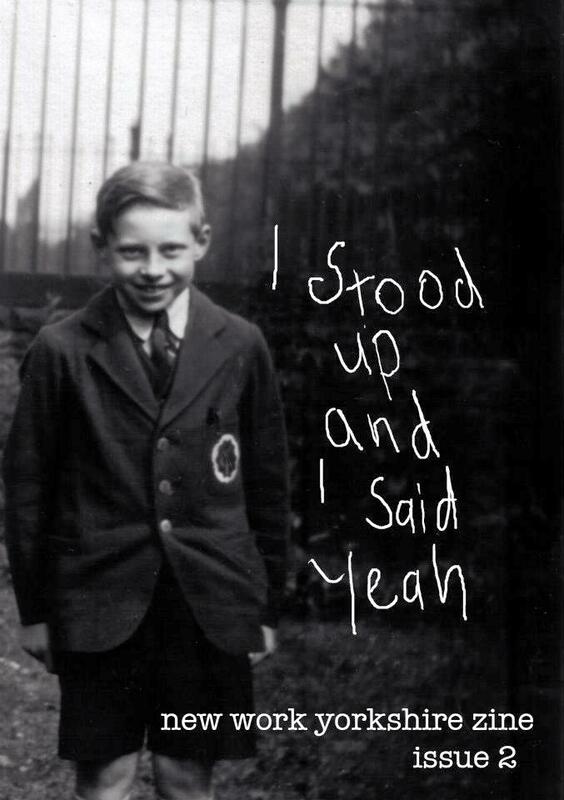 I Stood Up and I Said Yeah is a zine I curated for artist collective New Work Yorkshire. 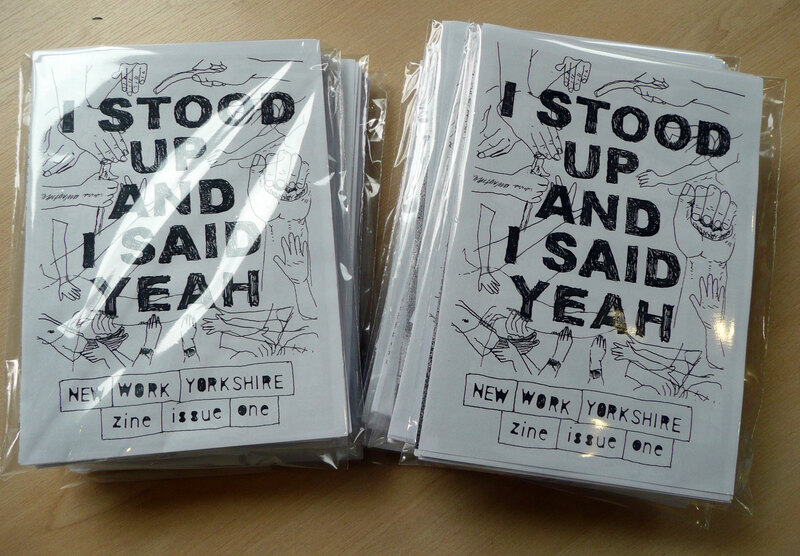 The zine ran for two issues and featured contributions from New Work Yorkshire members. Issue 1, launched in May 2011, was themed DIY and was available both in print and online PDF versions. The print version is a hand-made, multi-format loose leaf zine with accompanying CD, printed in a limited edition of 100, which has now sold out. The online PDF can be viewed and downloaded here.